For the bridal couple looking for a traditional wedding ring then an ideal choice is this cobalt xf chrome 8mm high polish flat wedding band. Crafted with high polish white gold color, with its color the ring looks almost like a more expensive platinum ring. The most significant part of the wedding ceremony is exchanging of the wedding rings between the couple. 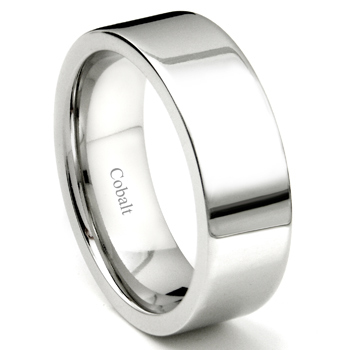 Be sure to give the best with a cobalt chrome wedding band. 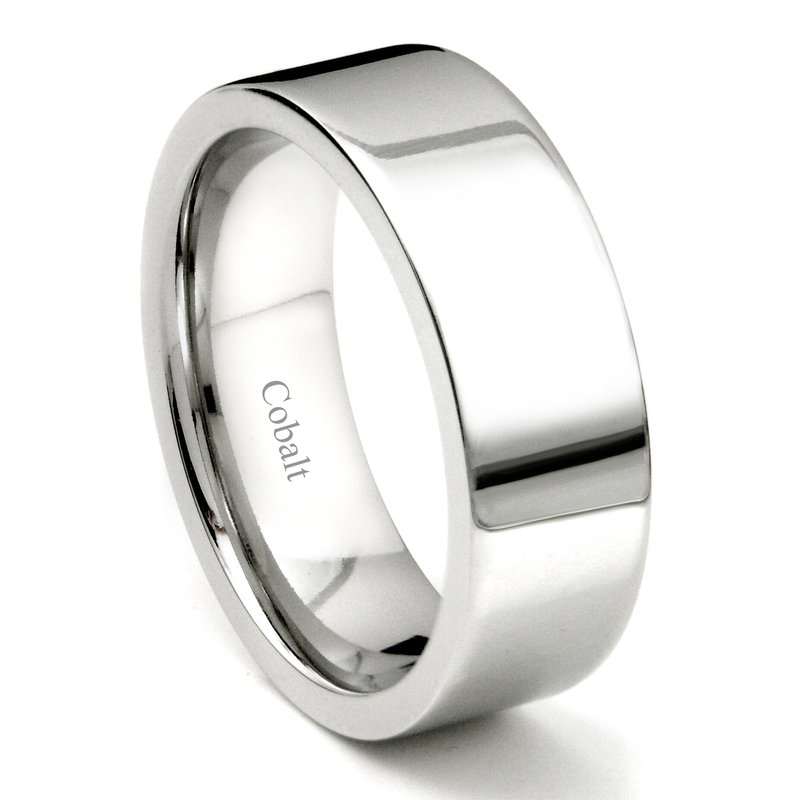 Our cobalt xf chrome 8mm high polish flat wedding bands the perfect ring for men who works with his hands or likes to work outdoors, or who uses their hands when taking part in recreation activities. As with all of our jewelry the men's wedding ring is backed by our 100% lifetime warranty. Our cobalt chrome wedding bands are also 100% hypoallergenic so you need never worry of an allergic reaction from the wedding ring. Matching bands are available in 6MM and 4MM. Thank you Mark. The ring with the engraving was done beautifully, the ring looks great! I bought this ring for my soon to be husband, and it is beautiful. It is clean, classic, and beautifully simple.